so Dave degroot and the Mt Pleasant council basically stole a communities hope and dreams. this is happening ball across America. this made me sick. I'm a successful engineer for a major tech company and my company pays zero state or local tax. It's so clear that the board leader in the story is a Trump fan since he tilts all the benefits to the corporation while selling out the people. I'm all for capitalism but seems Sweden is successful for corps and their people while we bow to the corp and tell people to just work harder. I make a good living but if I was a no/low skilled manufacturing worker I would be afraid to have children since manufacturing is dead and robots will be the tombstone. I should know I help build them. I don't feel guilty because it'll happen with or without me but our gov leaders are telling lies of more manufacturing jobs when that'll never happen. instead they should be telling people to develop new skills. anyone working in a job that can be automated (service, retail, manufacturing, transportation, etc) will not have a job within 10-15-years. I don't think people realize how many robots exist today and that will lead to a huge reckoning. Is there an update on Sean? did the village help him get the money he needed to make him home liveable? And Foxconn announced today they're not actually going to do what they said they were going to do. "Hey, you f***ed up! You trusted us!" It sounds like the folks in Mt. Pleasant really got screwed on this one. I come from WI and have family there. They already have some of the highest tax rates in the country. Now these folks will be sending more $$ to the state and village to help pay back massive amounts of debt to build a factory that makes outdated technology. By the time their factory is finished, LCD TVs will be obsolete. Tech does not age well and secrecy usually results in a bad deal for everyone. Mt. Pleasant may become a poster child for the dangers of conducting business in the dark. After reading and listening to some of the village meeting minutes, I don't think the trustees had the knowledge or skill sets needed to negotiate with the likes of Foxconn. Rather than vetting the deal, they acted like they were playing Monopoly. They need to go directly to jail without passing GO! 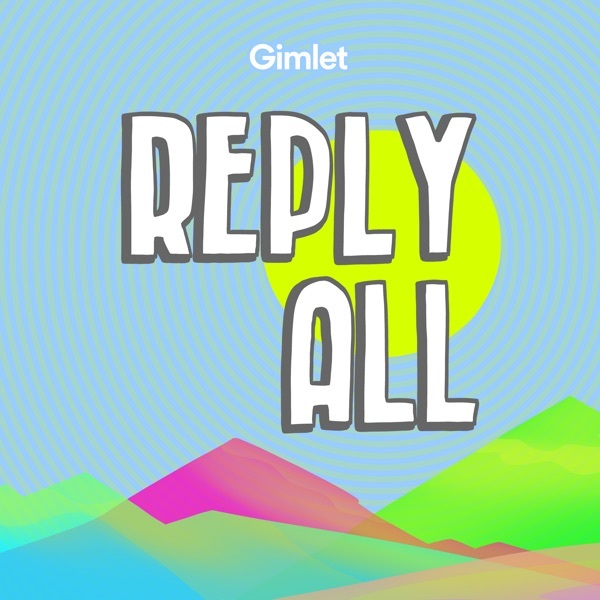 Hmm...this story feels a little out of place for Reply All. The only "internet" part of the episode was the hate website, which seems to only have played a small role in the story. Wisconn Valley.... what a stupid name. this kind of thing will keep happening over and in America (it's happened in 3rd world countries many, many times) because a small group of people will always choose money over ethics, morality, and the well-being of people that are not them. Buddy Buckets Just get it done in 3 minutes...really? I've rarely heard such arrogance from a public official. Because thimble collections don't complain about delusional thought process or bad accounting.